Image: Matt Baron/Shutterstock; Chelsea Lauren/Shutterstock. 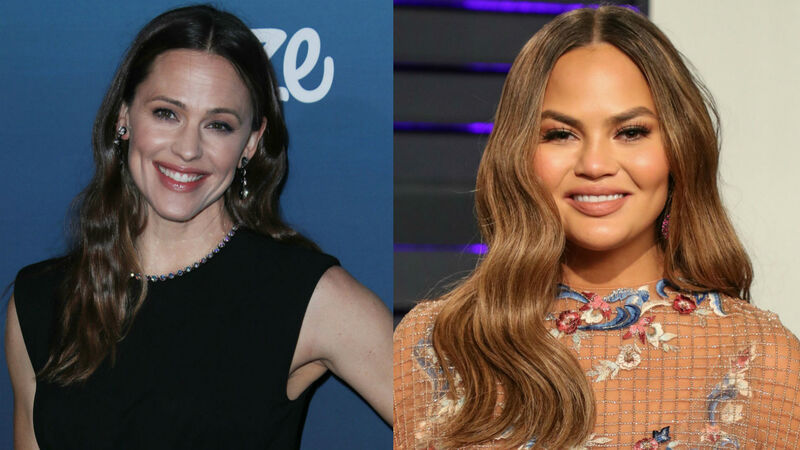 Even celebrities love Chrissy Teigen and John Legend’s children, including Jennifer Garner. On Sunday, Teigen and Garner had an exchange about Miles and Luna on Instagram that is seriously the best and will definitely put a smile on your face. If you haven’t seen it yet, the Cravings: Hungry For More author posted yet another adorable photo of Miles on her Instagram. The picture shows her son sitting in a basket and sweetly staring at the camera. Ever since Miles was born, everyone has repeatedly pointed out how much he and Legend are twins. There’s no denying he is the singer’s mini-me. Well, Teigen would like some credit that Miles somewhat resembles her too. She captioned the super cute photo, “I know you all think he looks like john but that is my nose, can we at least acknowledge that.” OK, he definitely has her nose. How funny is that? For those unaware, Garner has three children from her previous marriage to Ben Affleck: Violet, 13, Seraphina, 10, and Samuel, 7. Garner’s nanny probably isn’t the only celebrity nanny liking Teigen and Legend’s photos of their kids. Honestly, it’s hard not to like an image of them. Teigen responded to Garner with several crying laughing emojis and then made it clear that Miles and Luna are just like every other child out there and not beyond adorable 100 percent of the time. “For anyyyyyyone reading this I ONLY POST THE CUTE STUFF,” she wrote. We find it hard to believe that Miles and Luna aren’t cute all of the time. We’re truly thankful for this very brief exchange between Garner and Teigen. Really, they need to interact more often. Seeing as Teigen has two cookbooks and loves to cook, just like Garner, who shares some truly funny cooking videos on social media, they should probably collaborate sooner rather than later. Maybe Garner could assist Teigen on her future recipe website? Whatever the case, these two need to become fast friends. Can you imagine them cooking together and posting videos on social media of their time in the kitchen? Now that would be internet gold. Keep those fingers crossed Garner and Teigen somehow end up interacting again — and not just in the Instagram comments.